I’m not devoutly superstitious so I have no problem picking and choosing which New Year’s traditions to follow. While 12 grapes at midnight are non-negotiable anywhere Spanish is spoken, for the rest of Latin America it’s pretty much an open field. I’ve written wishes for the coming months (Venezuela) then throw them in the fire so no one could steal them. Unfortunately, I forgot what I’d written before the paper had turned to ash, leaving me with unstarted resolutions. If I lived in Honduras, I’d make an “Año Viejo” doll stuffed with fireworks to set off at midnight if I didn’t find effigies and fireworks equally frightening. I’ve never thrown a bucket of water out of my window to rid myself of evil spirits (Puerto Rico), but a water pipe bursting a few years ago started off one of my favorite New Year’s nights and great year. A Peruvian friend suggested I wander around the block with a suitcase if I wanted to travel in 2011, but I’ve had enough of packing bags and getting nowhere in the last few days. Fortunately, everyone seems to be in agreement on an underwear color scheme for the occassion (red=love, green=money, yellow=luck, white=health). I don’t know if it works, but at the very least it forces you to get your priorities straight before midnight. Less easy to let go of is the overwhelming feeling that every action I engage in between December 26-January 1 forecasts the year to come. I spent hours organizing my house not wanting to start the New Year with an unmade bed, unswept floor, or cluttered closet. I spent so long deciding what to wear to a low-key party with friends, that I almost missed the countdown altogether. Anxious about starting the year shoeless, I challenged my host’s shoes-at-the-door policy to no avail. Then, after a great night (albeit in socks), I slipped backwards on some ice coming home. Falling squarely on my Cuban passport, I pulled myself up for the first time in 2011 and decided not read too much into things. A convenient resolution when the signs aren’t going your way. With my annual New Year’s OCD somewhat in check, I went ahead with my plan to spend the day in the kitchen. After years of forcing down lentils for luck (Spain, Cuba, Chile) every January 1st, I was looking for another dish to celebrate with and invited some friends over for dinner. Really it was an excuse to try the turrón mousse recipe I’d found in Jose Pizarro’s Seasonal Spanish Food a couple of months ago. 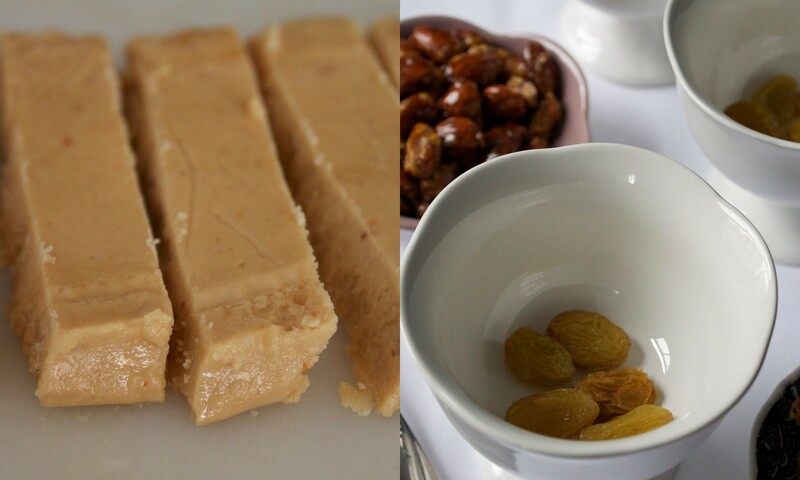 I loved the idea of taking turrón, so closely associated with the sweetest and saddest time of the closing year, whipping them together with airy egg whites and little sherry, then serving them in a new way, taking a little of the past with me to the future. Of course, in Mexico, I might make a list of unhappy events from the previous year then throw it in the fire before midnight but I worked too hard on 2010, good and bad, to let it go up in smoke. Adapted from Seasonal Spanish Food by José Pizarro. 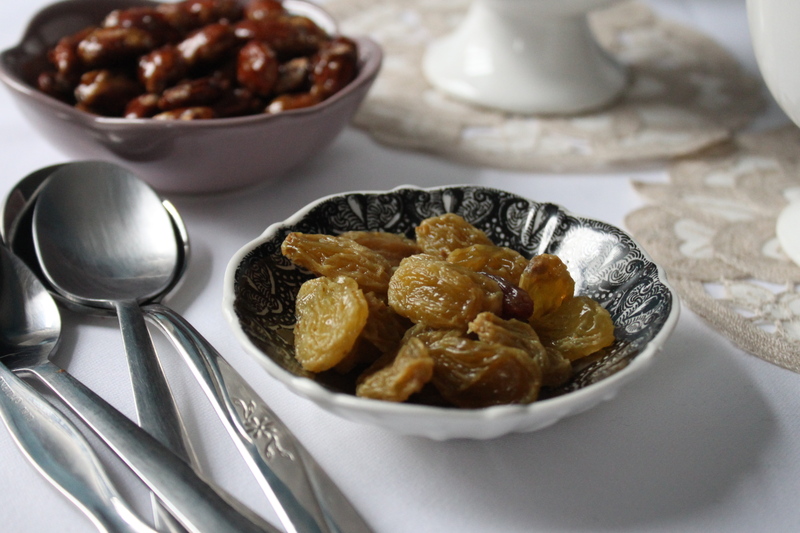 Because the golden raisins (I prefer calling them sultanas) are left to marinate in sherry the night before, it literally took two years to make. The original recipe called for just two egg whites but I increased it by one and added a little sugar to get more volume. 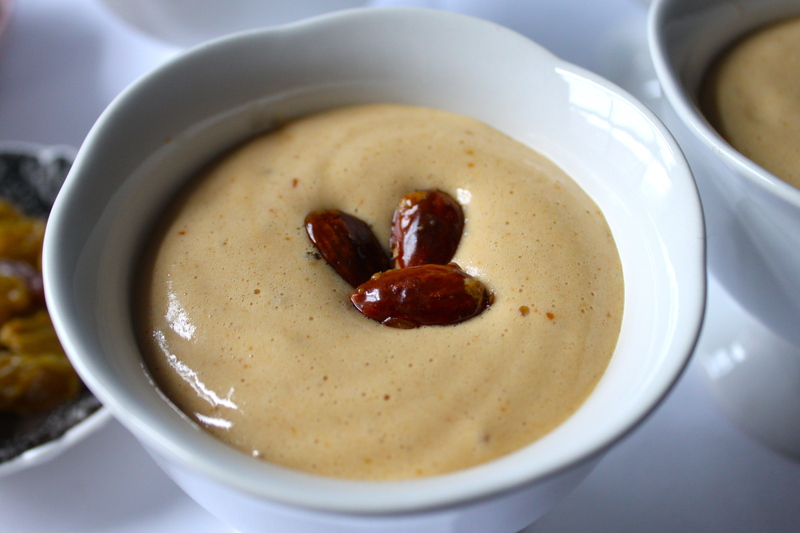 Combine the raisins and sherry in a small bowl and marinate overnight. Drain the fruit on the following day, reserving the sherry. 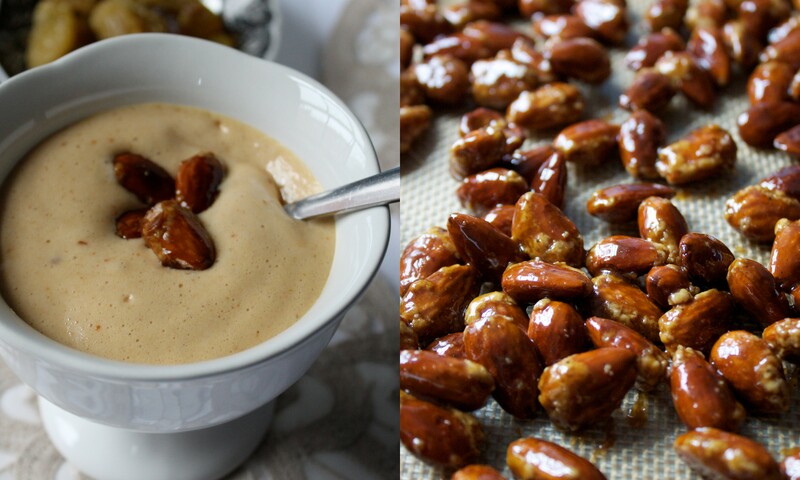 In a food processor, combine the turrón, egg yolks, heavy cream and sherry. Pulse until well blended and smooth. Pour out into a medium mixing bowl. In a stand mixer fitted with the whisk attachment, beat the egg whites on medium speed until frothy. Add the cream of tarter and pinch of salt and continue to beat on medium speed until they hold soft peaks. Gradually add the remaining 2 tablespoon of sugar and continue to beat until they hold stiff peaks. Blend a fourth of the egg whites into the turrón mixture to lighten it. Gently fold in the remaining egg whites until well combined, working quickly so the whites do not deflate. Place 4 marinated raisins among four glasses or serving bowls. Divide the mousse between the glasses and chill at least 6 hours. Top with raisins or caramelized almonds and serve. The water evaporates quickly leaving behind a coating of sugar. It’s important to keep stirring until the sugar melts and caramelizes. Heat a large pan over medium to low heat. Add the ingredients and stir them constantly. The water will evaporate and the sugar will melt and caramelize, about 15-20 minutes. I looove turrón!! AND candied Almonds! I love this post – your writing shines through…..